Painting above is from a new collection of Xiang Li. A few readers reached out and asked about who “feisworld” is and why s/he has been posting on behalf of Ms. Xiang Li. Well, that’s me! My name is Fei (pronounced “Fay”) and I’m Li’s daughter. It’s been partnering with my mom on a number of artistic initiatives over the past 10 years or so. I’ve been studying, working and living in the United States (Boston, specifically) for over a decade. My mom, Li, on the other hand has only immigrated here since 2013. 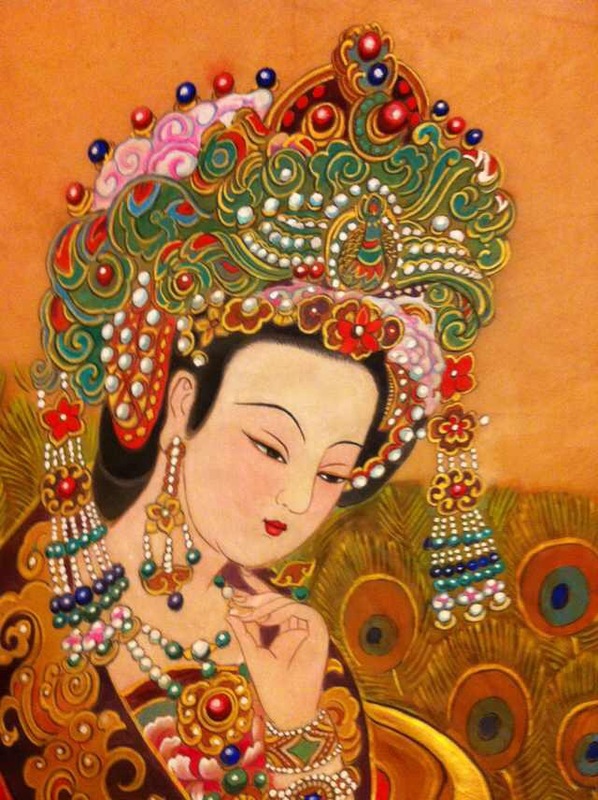 Given my mom’s lifelong dedication to traditional Chinese art, I thought it’d be a shame if we didn’t blog about them and share with the world. Writing and maintaining a blog for a mother, however, can be quite challenging. Every time we decide to publish a post, a constant collaboration happens between us to ensure the message is accurate, unbiased and helpful to other art enthusiasts. There are other behind-the-scenes collaborators you may not be aware of including Li’s teachers, coworkers, business partners who can also speak to her expertise and the art industry (history, trends, etc.) in general. At the beginning, my mom (being her age) was very resistant to blogs/blogging. She had been very lucky succeeding in her career through personal connections with no marketing assistance (traditional or digital!) for that matter. It blows my mind after spending 8 years in the agency world. On one hand, it shows that my mom must have been successful doing things her way. But on the other, you could also argue that no one knows the level of success she could have had if she marketed herself more. To blog or not to blog? My mom finally gave in and decided to work with me on publishing articles related to her line of work in traditional Chinese art with a focus on (painting) techniques, teaching, history and influence. Many people don’t realize that the techniques my mom has perfected is long-gone in the modern art world. She is one of the very few in the world who has the ability to pass them on. Therefore she feels that teaching those who are interested in learning (or reading) is part of her responsibilities. Last but not least, my mom has reconnected with a long-lost friend of 27 years because of this blog. To respect personal and privacy information, we will not reveal the name and location of this person. This person has contributed significantly to my mom’s career as a young artist. For that, this blog is well worth of my time and hers. Please feel free to submit your comments and let us know what you want to hear and learn from Xiang Li. Thank you for subscribing to this blog and believing in what we aiming to accomplish!